This time of year, your dining room becomes the most important room in your home; a place for food, family and fellowship. And whether this is the only time of year your dining room gets used, or you break out the polished silver every Sunday, Lightology wants to see how your dining room has been transformed for the Thanksgiving season! By sending us a photo, you can win a $275 Koncept Z-Bar LED desk lamp! To enter, take a photo of your Thanksgiving Dining Decor (family members not necessary!) that also shows off your lighting. Like Us on Facebook and Post Your Pic on Our Page! Or Follow Us on Twitter and Tweet Us your Photo! 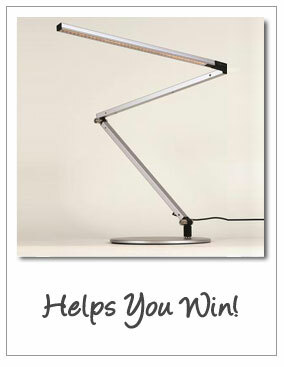 A winner will be selected Monday, November 28th at 5 pm and will win a Koncept Generation 3 Z-Bar Desk Lamp, a $275 value! The award-winning Koncept Z-Bar LED table lamp ($275 value) uses only 10.5 watts and is fully adjustable, with rotating arms that move to your exact desired position. The touchstrip allows for easy dimming with a simple slide of the finger. The perfect gift – or reward for your hard work this Thanksgiving! 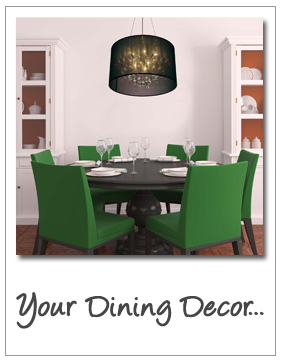 Send in the photo of your Thanksgiving Dining Room TODAY for a chance to win!